Asthma is a lung condition that manifiests itself by swelling and narrowing airways and by increasing mucus production. The excess mucus (as when you are sick) causes an increased amount of coughing, sneezing and shortness of breath. It may even cause mucus to launch up the throat which may require you to spit. As we currently do not have a cure for Asthma, it is vital for patients to learn to manage it by tracking what may be causing symptoms and remembering to take the required treatment as prescribed by a physician. Asthma can be severe to moderate depending on the individual but one thing is for sure, it can limit mobility in anyone that has it. Asthma, like other diseases tends to change over time, and thus it is important to keep a log of the changes and any asthma attacks you may incur so the treatment too can be adjusted over time. Tracking and logging your tracking and logging the results of asthma treatment help your caregiver adjust your dose for your inhaler and better understand what could be triggering asthma for you. CareClinic helps you build a self-care action plan alongside your doctor to stay on top of your treatment. As you get busy with living your life, CareClinic is there to help remind you to take your medication as needed on time. 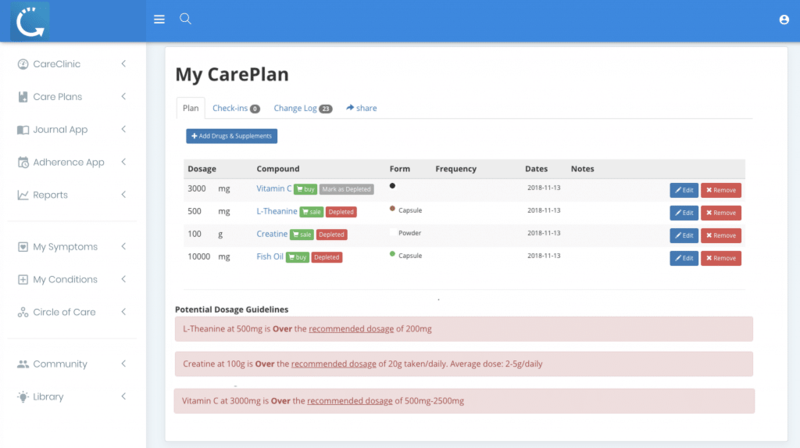 CareClinic is not just a usefull pill reminder app, it can build even the most complex of medical treatment plans. 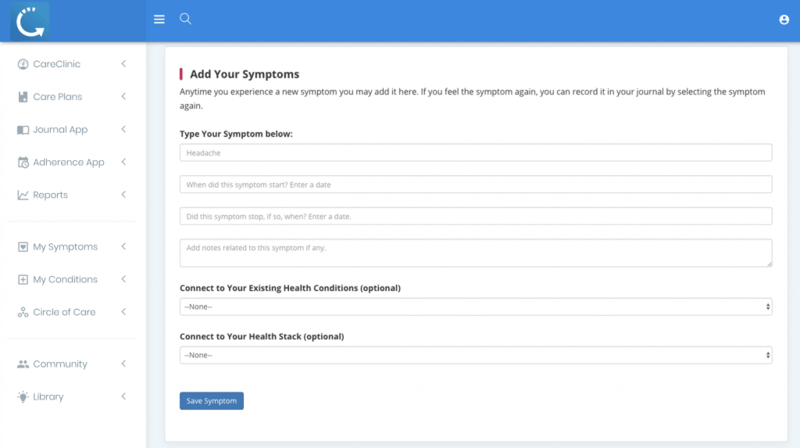 Whether it is managing multiple chronic conditions alongside Asthma, or managing asthma as to prevent cough attacks, CareClinic can track and provide correlations to reduce any burdens of remembering everything. At the end of the month CareClinic can generate a report that can be viewed by your doctor digitally or through a printed report. We help you remember how many puffs of the inhaler to take and when, thus increasing your adherence and keeping you feeling better. Adherence consists of taking the right medication at the right time at the right amount, and if we have comorbidities the task becomes exponentially harder. Getting started with CareClinic is simple, scan a list of your medications with our mobile app, or enter it manually. You may also use our web app if needed to do so. Once your medication is scanned, you will need to enter your required dose and frequency for when you need to take your medication. 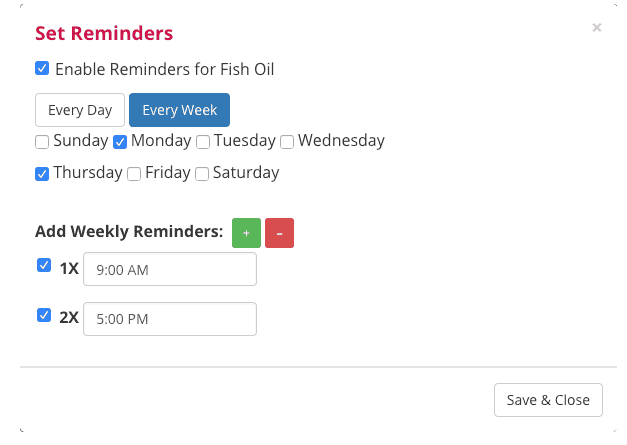 We then enable reminders, which can be sent via email or through in-app notifications on your android or apple iphone. As you recieve adherence reminders, you can mark them as taken or skip them. Additionally you can also add nutrition, physical activity, other therapies, symptoms, other medications and supplements along with photos and a journal entry to document anything you deem important for yourself or your doctor to know. You may also go into your Care Plan and add additional reminders for things you may need to do as part of your asthma treatment. 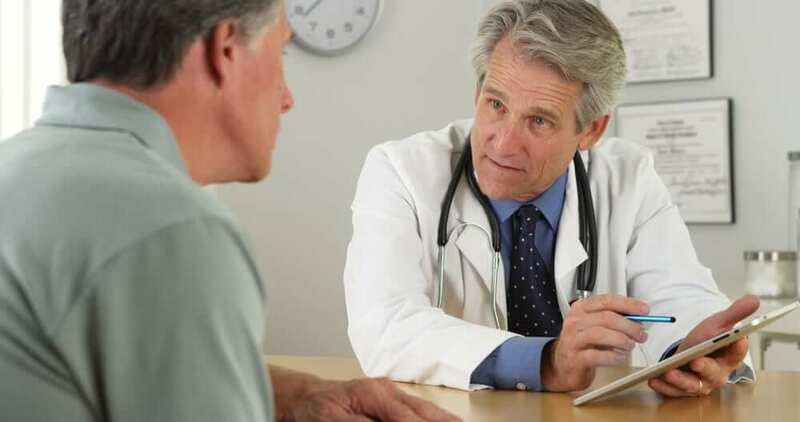 Make sure to record things such as breathlessness and any tightness in the chest as symptoms you are experiencing to provide yourself and your doctor a comprehensive understanding of your condition. Overtime your data will build reports from your logs and will help determine causes for asthma. It could be allergies, it could be certain physical activities or something you may not have thought of. Based on your results you can consider the steps needed to take to prevent further attacks in discussion with your doctor. You can also see your overall reminders, progress, and symptoms in your calendar and continue to add others to your careteam so they too can monitor your health. You can further integrate CareClinic with other devices like the apple watch to see if a certain level of physical activity at certain places causes your Asthma to act up. Additionally you can also keep track of refills within the app by setting up a reminder to refill your medication every X amount of doses or every few weeks as needed. Asthma is considered a chronic illness that affects the lungs. As your airways become swollen due to inflammation, it makes breathing difficult especially when breathing certain elements which could be a result of an allergy. As your airways narrow and reduce air flow, they also increase the production of mucus which further narrows your airways. These are the most common asthma symptoms. Aside from the obvious shortness of breath, other symptoms of asthma include shortness of breath, continuous coughing, excess mucus production, and wheezing. Other symptoms may also flare up that are not so obvious such as a rapid heartbeat, feeling dizzy, and day time sleepiness. The most common test to determine if you suffer from asthma is called spirometry, which measures the total volume of air you breathe out in consecutive breaths and how much you breathe out. The secondary test is the peak flow meter test calculates the speed at which you exhale air from your lungs. Additionally, a allergy test may help determine what could be causing flare ups for you. Allergies – Allergens such as dust mites, pollen and even animal fur. Asthma can also be a result of genetics, second-hand smoke, other infections and lifestyle choices such as being obese. As Asthma is a chornic condition, it is important to track how it affects your health over time to minimize attacks. Medication can provide relief and long term control — but only when taken on time. Odds are that your doctor will prescribe you a drug that helps you manage inflammation with a corticosteroid such as budesonide, mometasone or fluticasone. You may additionally also be required to adhere to B2-agonists, and anticholingerics as well. Ashtma needs constant monitoring and long term tracking. 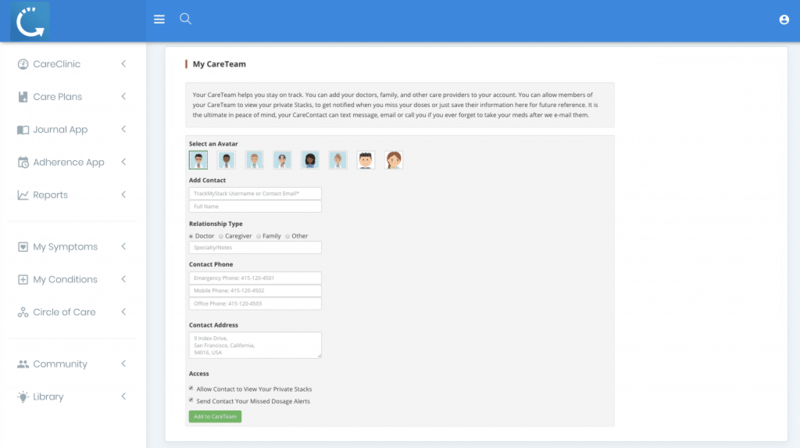 Careclinic helps you manage your condition by helping you remember when to purchase refills, sending reminders for when you need to take your medication, by helping you log and track symptoms which can help with your diagnosis and further help your control your asthma by letting you add caregivers that can monitor your progress digitally and much more. Our web and mobile apps (for iOS and Google Android) provide reports and logs of how your condition is progressing over time so you can get the best continuous treatment by your care provider and so you can practise better self-care to avoid situations in which you may encounter a flare up.